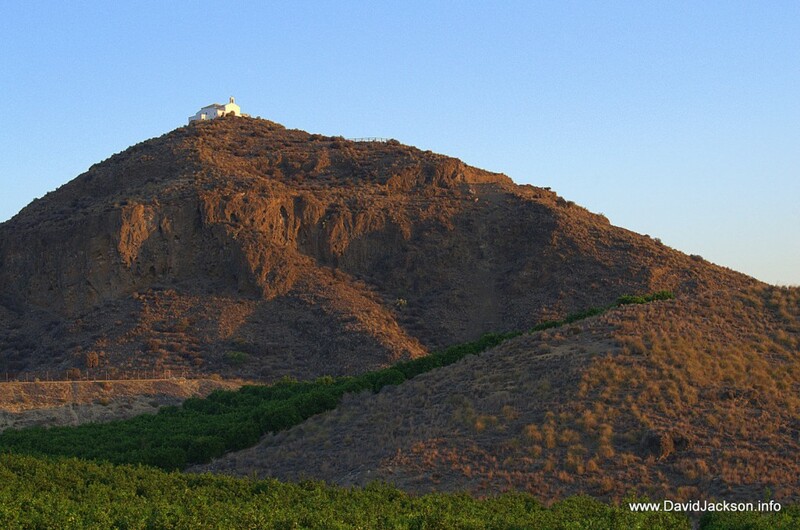 It’s the famous hermitage you can see on top of the hill outside Antas from miles around. The hill is actually the remains of the central lava column of an ancient volcano. The rest of the volcano has eroded away, leaving only the central lava spike, on top of which a shrine was erected. The lava flow from this hill can actually be traced all the way down to the sea – it can appears occasionally, such as where the Vera – Los Gallardos road cuts through it, or down by Puerto Rey, where the volcanic rock covers about 1 square km of land near the beach, and has mainly been built upon. (They call it la roca down there, the “rock” the first Puerto Rey homes were built on). The hill is called the Cabezo Maria (Mary’s Butte). The shrine is called the Ermita de la Virgin de la Cabeza. Ermita being hermitage, of course. The Ermita Virgen de la Cabeza on top of the Cabezo Maria volcano. Around and on the hill (although partially hidden under the oranges) are a number of Bronze Age settlements and Moorish encampments. The hill is supposed to be a protected BIC (asset of cultural interest) area. Use of an unauthorised shovel or metal detector could result in two years jailtime. Local legend says that there’s been a shrine up there since the early 15th century, when the conquering Christians went about putting up crosses and churches on any high point. However, there doesn’t seem to be much information about it. An ancient shrine was certainly there in the 19th century, and was partially rebuilt by locals in the 1930’s, but it then fell into disrepair. Outside of the old shrine, before reconstruction. Via audioguiasQR. The audioguide which you can listen to on your phone as you walk up the hill (scan the QR code with your phone in the carpark, or click here) says that Manuel, a local shepherd married to one Maria Toribia, used to graze his sheep up there, until on the 12th of August 1427 (suspiciously early in the conquest of this area) he saw a vision of the Virgin Mary. This started the tradition of the annual pilgrimage from the village to the hill and lead to the building of the first shrine in 1507 (probably to flog water and relics to the pilgrims?) . 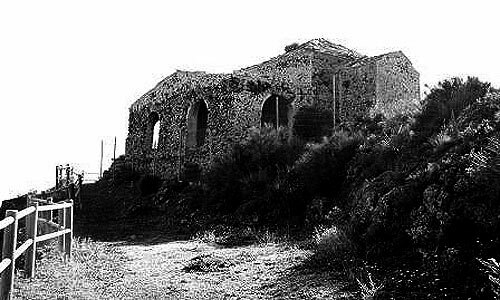 Antas was populated by exiled Moors from the coastal villages, in the same way as Turre, and after la conquista both villages were determined to show off their Christian values, in order to prevent any Inquisitors from snooping around. An annual Christian pilgrimage and a nice shrine was just what the representatives of the Holy See needed to see. The ’30s shrine slowly mouldered under the sun until 2011, when extensive “repairs”, which seem to basically consist in knocking it down and rebuilding it, finished. A nice walkway up to the shrine was also constructed. I remember going up in the late 90’s, it was a dump. The layout of the current building respects the original plans, as the base of the walls were all conserved. The tops of the walls and the roof are all new, as is the tower. Once finished, a statue of the appropriate Virgen was carried up and deposited there, and the local Bishop scattered holy water around. (12 August 2012). The repairs were prompted by a revival of the local tradition in the 90’s of an annual pilgrimage up there. As is the way with these things, nobody seems to remember if they’ve always been doing it, the tradition just suddenly appeared. The reason they do it in the middle of August (12th) is because of the original vision. The Junta’s BIC catalog notes that the “building is reputed to date from the 16th century… it has an elevation of 254 metres above sea level”. 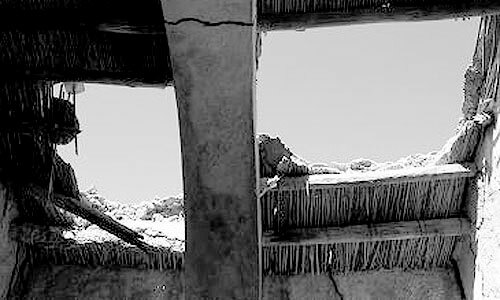 Interestingly enough, the hermitage is between Antas and Bedar, on the frontier, and the ownership of the place has been a bone of contention for centuries. During the Civil War, Antas seized the hermitage for good (fair enough, as they were the ones who had done the place up), which so infuriated the locals of Bedar that they mounted a daring raid on the place, and made off with the image of “their” Saint, which is currently installed in Bédar church. So the ancient Virgen in Bédar used to be in the Cabezo Maria hermitage! They refused to return the Saint to Antas, and eventually the matter was dropped. If you want to walk up there, it’s a good path nowadays. Take the signposted road off the main LG – Antas road, follow the signs to the car park and then hike up. Adventurous souls can also take the original road up the front of the hill. Don’t try to pinch any oranges on the way up! 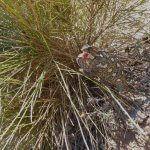 This entry was posted in History and tagged antas, Cabezo Maria, Ermita de la Virgin de la Cabeza, virgin de la cabeza by David. Bookmark the permalink. Throws a bit of light on who could have vandalized the solar lamps on the pathway to the top.